If the weather is being unpredictable so can your chances of lighting a fire fast. The last thing you want is to struggle with a large group looking on awaiting their meal to be cooked on time! 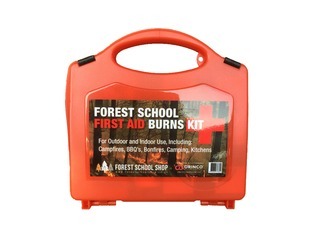 This is why we've introduced the Forest Schools Campfire Kit - a professional level set that is designed for leaders to use when wanting to light and easy and effortless fire. Let's face it, there's not always time to prepare everything and our campfire kit allows you to relax knowing that it's taken care of in advance and the kit even includes handy back-up methods too! 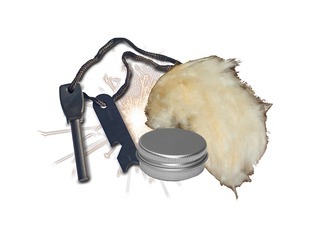 The kit is made up from several popular and super reliable materials that will allow you to light fires in any weather condition without fail. 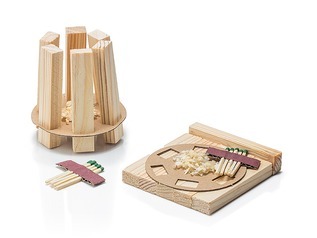 Included with the kit are three large boxes of Flamers - natural fire lighters that are easy to light and burn slowing producing no nasty fumes! 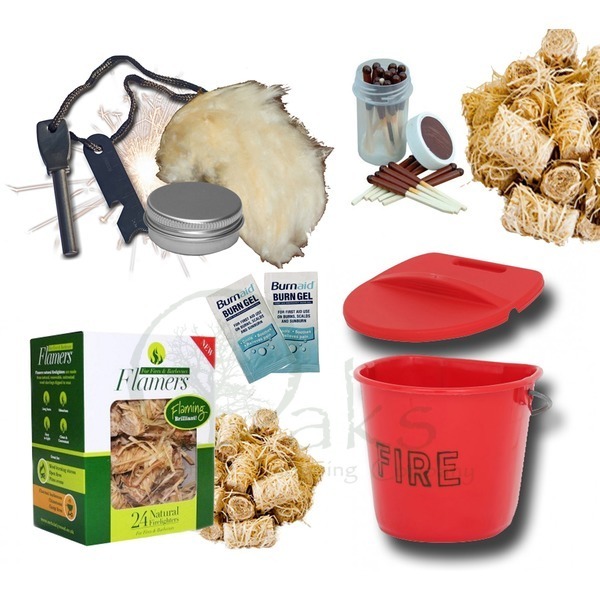 We've also included five packets of organic tinder down that is used to enhance fire lighting with a spark and in conjunction with this there is also a tin of fire grease which can be mixed with the tinder to make it stick to the surface of your other tinder in the event that a breeze is making life difficult. 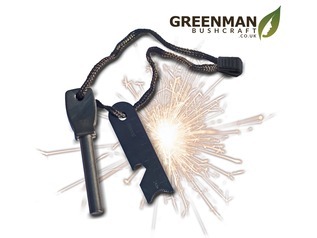 Of course, no fire kit is complete without a firesteel, so a premium grade (extra sparky) and very reliable firesteel (army size) has been added to the kit - this is capable of lighting thousands of fires and will even work wet. 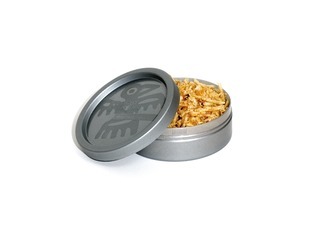 But, just in case, we've also included a pot of storm-proof and wind-proof waxed matches with a long burn time. There are also some sachets of burn gel (just in case!). 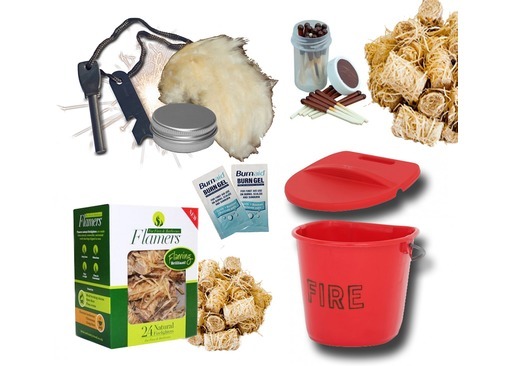 Last, but by no means least, to help cover your health and safety obligations we have also included a fire bucket and lid which is an essential item to have to hand when lighting fires and it can also be used as a safe store for all of your new equipment if you already have a bucket on-site. 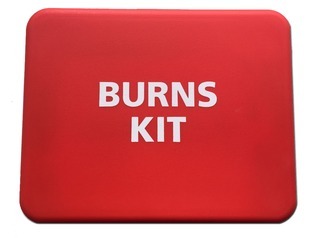 Although not included within this kit, we also recommend the Orinco burns kit to go along with your purchase which can be found here.